It’s no longer just about cats and dogs. If you live in a rented house, you might want to consider other alternatives such as the critters; they are smaller in size, less noisy and more suitable for apartment living. But even as you consider small pets, there are many adorable tiny options that may leave you wondering: ″should our new addition have fins or fur?″ This article will walk you through the best small critters that will reward you and your family with compassionate ease. Hamsters, sometimes called pocket pets due to their small size, have been around since the 1930s and have since gained popularity among many homeowners. Because of their nocturnal nature, these easy-to-care-for pets are great when you have children 8 years and above. There are different breeds of hamsters with the common ones being the golden hamster and the Roborovski dwarf hamster. While the former can grow up to 7 inches, the latter is only 2 inches in length. To keep them healthy, hamsters’ diet should include commercial pellets, occasional treats of fruits and vegetables, cheese and fresh water. Wondering how to house one? There are a variety hamster cage options available online and pet stores. If you’re looking for a playmate for your children, there are few pets as playful as ferrets. With their mischievous eyes, sweet faces, and curious nature, ferrets are undeniably adorable. Although some ferrets live up to 12 years, most live for about 6 to 8 years so they’ll make a sweet long-term pet. When living in an apartment, you want a pet that makes as little noise as possible and ferrets fit in this equation perfectly. For the most part, ferrets are very quiet and will only vocalize when frightened or injured. For their feeding needs, you will find pre-made ferrets foods in most pet stores or online. If you prefer a calmer yet furrier friend for your children, opt for a rabbit. Rabbits have a strange mix of cat- and dog-like qualities. They can be as silly and playful as kittens or puppies, and as fascinating as cats or as openly affectionate as dogs. In the world of keeping pets, cats are usually more common than dogs, but fish rules over them both. Often apartment building “no pet” rules don’t apply to fish, thanks to their quiet nature and their ability to be confined. Fish have a minimal space requirement and even those living in a small apartment can afford some space for a mini-aquarium. Apart from their aesthetics benefits, fish has been known to have a positive impact on the health of the owner. Just watching fish swim in the aquarium can lower stress and blood pressure in adults. Moreover, children who have hyperactivity disorder can also benefit from the calm swirls of the fish. Even more startling, patients of Alzheimer’s disease recorded improved appetite and reduced violent outbursts after watching aquariums. If you’re not a cat or dog lover, you now know there are many other pet alternatives to choose from. Whatever your choice of pet, of importance, is to get as much information about the pet as possible. For more information on pet friendly apartments for rent contact Your Next Place today! Know your dog breed. If you can, you should understand the breed of your dog, this can give you some insight into its genetic tendencies, and help you head off problems in the future. Follow the rules. 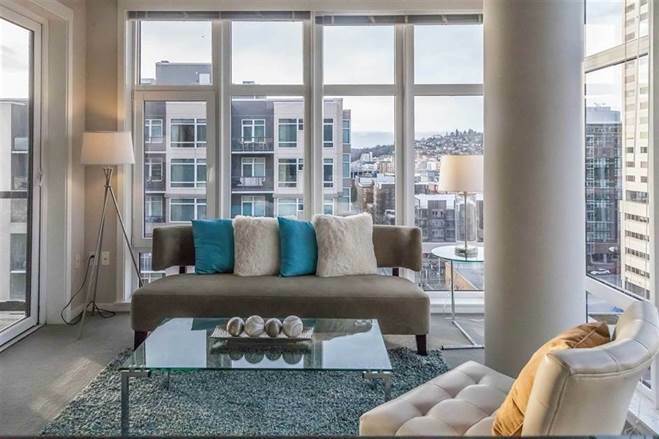 It may seem self-evident but make sure you look for pet friendly apartments for rent. Don’t lie, don’t count on the landlord loving your dog or cat, just don’t take the risk. Life will be much less stressful if your pal is allowed to be there in the first place. You can also check to see if your building has any restrictions on what kinds of pets or behaviour and expectations or anything like that. Mind the health of your pet. You will want to find a vet for your friend. Of course, you care about your own pet’s health, but it also helps other people care for their pets. If your buddy is not up to date on their vaccines, that can cause problems for the other animals in the building. The less fun side of this is making sure that if your friend gets a little too excited and bites someone, you have all the information needed. Give your dog a room. I don’t mean literally give your dog a room, but make sure it has a space it can go to if it wants. Put its bed, food and water bowls, a few toys, and its crate if it has one in the same general area. That way if your dog is feeling stressed or anything, it knows where to go. You enjoy having your own space, why wouldn’t your dog? This can also help your dog with some of the other things on this list. Control their barking. There are a ton of reasons why a dog might bark, especially if it’s an excitable little guy or girl. Make sure your dog is trained so that it barks less, give it plenty of attention when you’re home so that they don’t get lonely, and make sure they’re at least somewhat used to people so that they don’t panic when someone comes to the door. Clean up after your dog. As many people are fond of saying, everybody poops. This includes your dog. Make sure you clean up after them and dispose of it appropriately. Aside from city bylaws, it’s just polite. No one wants to see that on their lawn or on the street, and it takes minimal effort. In the same vein don’t track mud inside after a walk, help keep your lobby clean. Dogs are great, make sure yours is a lovable neighbour too, so people will agree that yours is just the best in the world. “Pets are family” has become a common mantra; as someone who worked in the pet industry for a number of years, I can tell you that this is a state of mind, not a carte blanche state of affairs. Plenty of people, especially in rural environments, consider their pets as tools, rather than family; cats are there to hunt for mice, dogs are there to protect livestock, and any further attachment is sentimental nonsense to this mode of thought. I also know people who claimed that their pets aren’t family, then proceeded to spend thousands of dollars on treatment, medication and food. When you believe your pets are family, whether you express it or not, you’re willing to spend money and time on them; you’re looking for pet friendly apartments for rent as a necessity, not a luxury. Why do we form such incredible attachments with our pets? There’s a wide variety of reasons, as it turns out. Familiarity is no doubt a major element; anyone who has spent some time around animals comes to realize they are sentient beings with feelings, thoughts, and personalities all their own. We come to cherish their idiosyncrasies, just as we do with those of humans; their little quirks remind us there’s a whole universe that exists solely within them. It exists within each of us, too. There are health benefits to having a pet, too, and these can create an important bond. Getting out to walk your dog is a great excuse to go for a bit of a workout; you’ll have an unfailing exercise partner who is incessantly optimistic, and can think of nothing more enjoyable than a stroll around the block with you. Tending to another being’s needs also commits you to being mindful; you can’t simply forget to feed your cat for a day, and you will be reminded that food is to be had. This helps us to develop schedules, which are sometimes missing in our chaotic modern lives. Humans have a strong ego; we are filled with a burning desire to do right, to alter the course of history in a way that elevates our fellows. We can be plagued by guilt, shame, and indecision when we feel we have done wrong; these feelings can obscure the profound beauty of forgetting about your worries and absorbing your surrounding, of living in the present. Animals, while they may have an ego, certainly don’t show it in the way humans do; it seems tremendous self-awareness is needed to have ego. Here http://www.dresselstyn.com/site/buy-cheap-viagra-sildenafil-online/ you find cheap Viagra price comparisons and Sildenafil 100 mg tablets without prescription. When we spend time with animals, there’s data that shows endorphins are naturally released through our system, de-stressing us and making us happy. But animals might do more than that for us; they might remind us to turn off our constantly thinking, worried about the past-and-future selves. They might remind us that it’s okay to run, to play, to breathe and be noisy and enjoy all of the wonderful mess that is life. Our pets are our family; sometimes the only ones who can remind us of what it truly means to live. In 1905, prolific architect Herbert Matthews was contracted to build Weldon Block on Donald Street in Winnipeg. Matthews’ style was heavily influenced by his work with New York City architect Charles Haight, who focused mostly on ecclesiastical and educational building. His style was grand, with Romanesque and Victorian influences; high cleanings, huge windows and beautiful, wooden floors. Weldon Block has been updated, repurposed to create one of the most stunning living spaces in Winnipeg, a blend of historic and ultra-modern: 370 Donald. Live here, live in the heart of the city. You are minutes away from the MTS Centre and the Exchange District; when it’s time for a night on the town, you’re already in it. The most incredible restaurants in the city are at your fingertips; Deer and Almond, Peasant Cookery, Clementine, Shawarma Khan, Carnaval, Cibo; the list goes on and on. It’s no wonder these restaurateurs have decided to make their home so near to yours; the area is steeped in culture, with large, turn of the 20th century brick buildings adorned with old paint-on advertisements inspiring creativity and curiosity. There are bars and pubs aplenty in the area; Yellow Dog, one of this writer’s personal favorites, is right across the street. Shops for every hobby imaginable are at your fingertips; comic book shops, vintage clothing stores, bookstores, and the ever-classic Toad Hall Toys are all walking distance from your home. Two of the cities malls, Portage Place and CityPlace, are right nearby, so shopping is an absolute breeze; when it’s cold, take the SkyWalk between amenities, and keep comfy as you go. There are so many attractions near this incredible location that it would be impossible to list them all without flooding the place with tourists. Several museums are nearby, including the Canadian Museum for Human Rights, Canada’s only National Museum outside of the Capital Region. The Winnipeg Art Gallery is close by, hosting a striking collection of classic and modern art. The Forks is a quick walk away, and access to its various markets, food, beer, and cultural activities comes easy. Students will find this location too good to pass up on; it’s walking distance to the University of Winnipeg and Red River College, and you’ll be sure to be the envy of your classmates. The Millenium Library, Winnipeg’s largest library, with its incredible architecture, is just down the street. Working downtown is just as nice, with many of Winnipeg’s most influential businesses blocks away from where you’ll stay. The proximity to some of the greatest neighborhoods in the city is another point in favour of this space; there’s a reason it’s called the heart of the city. The Exchange, and beautiful Waterfront Drive are nearby; it’s a quick hop over the Esplanade Riel to Saint-Boniface, and Osborne and the Legislative Building are easy to reach. Anywhere else you want to go, you’ll be able to; bus service to this area is the best in the city. You’ll find yourself in awe of 370 Donald; this space is near everything you could want, and the old building has been updated with style. Keeping its incredible brick face and wood floors, every suite has a dishwasher, and there’s laundry on every floor. There’s a fitness facility on site, so if you don’t want to work out in the cold, you don’t need to. 370 Donald even accepts pets, so you won’t have to leave your furry friend behind when you go on the endless adventures that await you. 370 Donald is the place to be at the heart of the city. 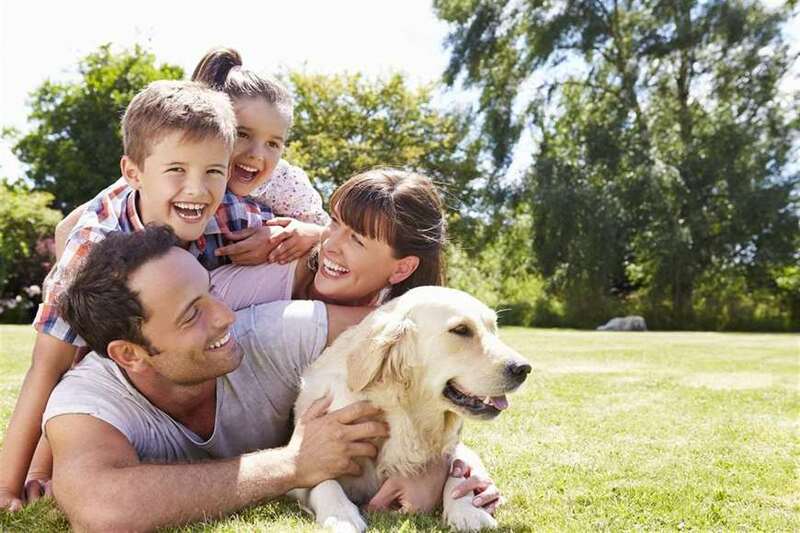 The vast majority of people consider their pet to be a part of the family. In fact, over 95 percent of people believe that their dog or cat is just as important to them as a human family member. It makes sense then that we would prioritize our pet when it comes to finding the perfect apartment for our family. You need to find the perfect area that is going to be pet-friendly, but what does that really mean? Many people are desperate to do what is best for their beloved pets when they make a major move, but they don’t know what to look for. 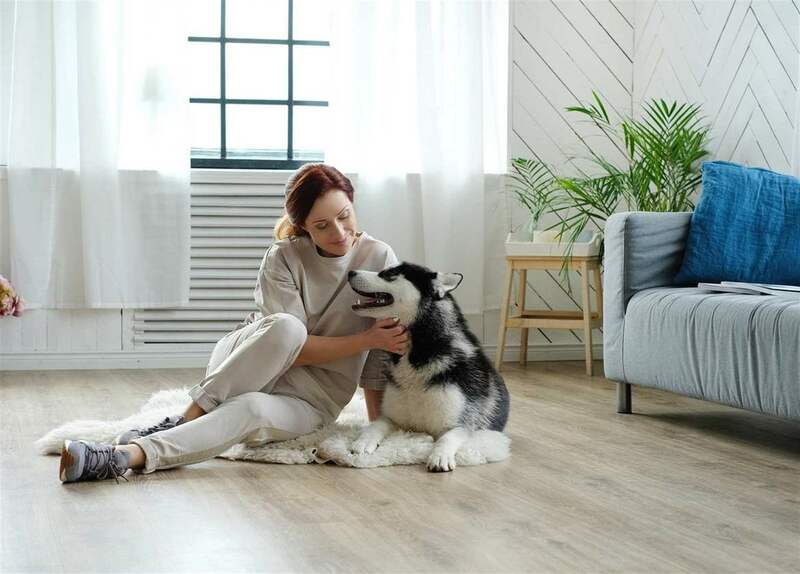 Here are a few of the attributes you will need to find in a new apartment to ensure that it is going to be a good fit for your furry friend. Your dog likely needs time to burn off their excess energy every single day. In the confines of an apartment, you aren’t likely to find that playing a few rounds of fetch will do the trick. Instead, you are going to need to take your pup for a nice long walk each evening when you get home from work. Make sure that your new apartment complex has plenty of places for you to walk so that things never get too boring. When wintertime comes and the days are much shorter, it might already be dark by the time you get off work. Look around for street lights or come back at night to see how well-lit your potential apartment complex will be. This can allow for much safer walks in the dark, even though it isn’t quite nighttime yet. Sometimes, your dog just needs a little time to roam free with other pets. Look for fenced-in areas or designated dog parks where you can play fetch on a Saturday afternoon. These spaces are becoming more common in apartment complexes that are considered to be very pet-friendly. Of course, you will want to ensure that there are rules in place for the dogs who visit. Check with the apartment complex to inquire about required vaccinations and rules for the dog park on premises. You and your dog might want to get out and explore the town a little bit when things grow boring at home. Check around to find out what sort of amenities are nearby that you could explore together. Look for local parks, bigger dog parks, and hiking trails that will keep you both happy and active. You may even search for swimming areas where you and your pup could go for a short swim! Finding the right pet-friendly apartment doesn’t have to be extremely difficult, but you do have to know what you want. By searching for a few of these basic features, you can create a home for you and your furry friend that you will love. Your Next Place can help you find plenty of pet-friendly apartments for rent!